High Performance, Dual Monitor KVM Optical Extender. 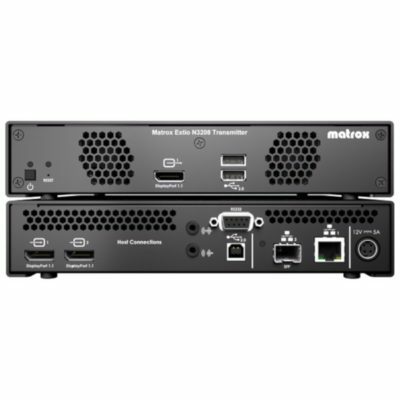 Matrox Extio F2208 is a point-to-point, KVM extension solution that uses fiber-optic cable to separate the keyboard, mouse, USB, audio peripherals and up to 2 displays from the rest of the computer by up to 1 km (3280 feet). 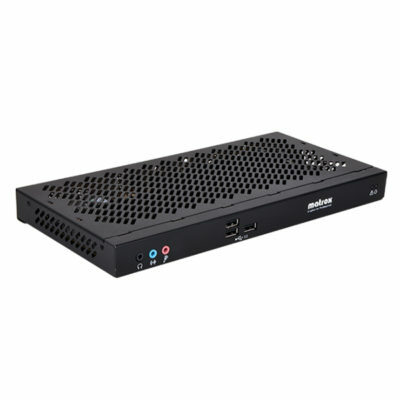 High Performance, Dual Monitor KVM Optical Extender. 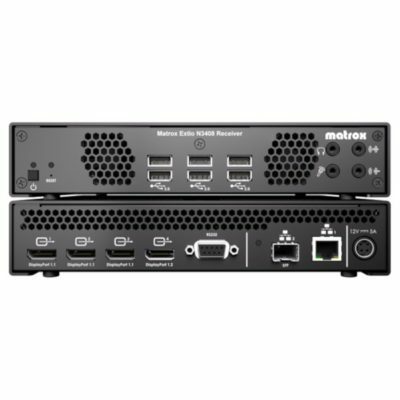 Matrox Extio F2208 is a point-to-point, KVM extension solution that uses fiber-optic cable to separate the keyboard, mouse, USB, audio peripherals and up to 2 displays from the rest of the computer by up to 1 km (3280 feet). 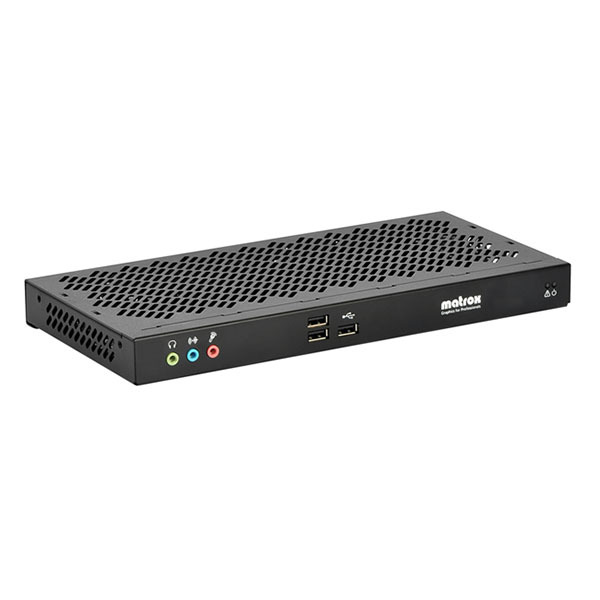 Equipped with the latest Matrox KVM technology, the Extio F2208 extends the bus via a PCIe bus interface card while the fiber-optical connection guarantees performance – eliminating hidden/dropped frames, data latency, and artifacts as seen with compression-based solutions.